My Smashing September Book Haul! 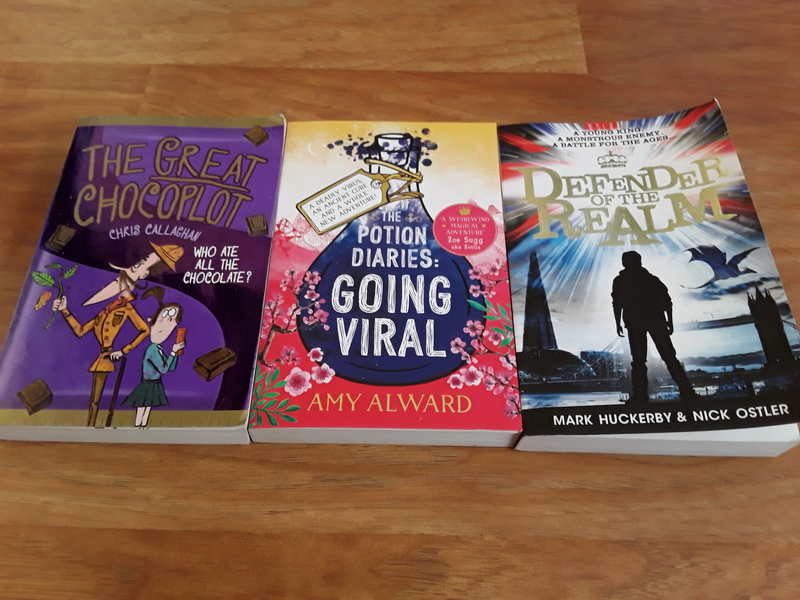 Going Viral by Amy Alward (recieved in a giveaway from Toppsta)- this is the third and final book in the fantastic Potion Diaries series, and I thought it was the best by far! The Great Chocoplot by Chris Callaghan- While a world without chocolate is one of my worst nightmares, it makes for a fabulous middle grade adventure novel! Next up, the books I bought. 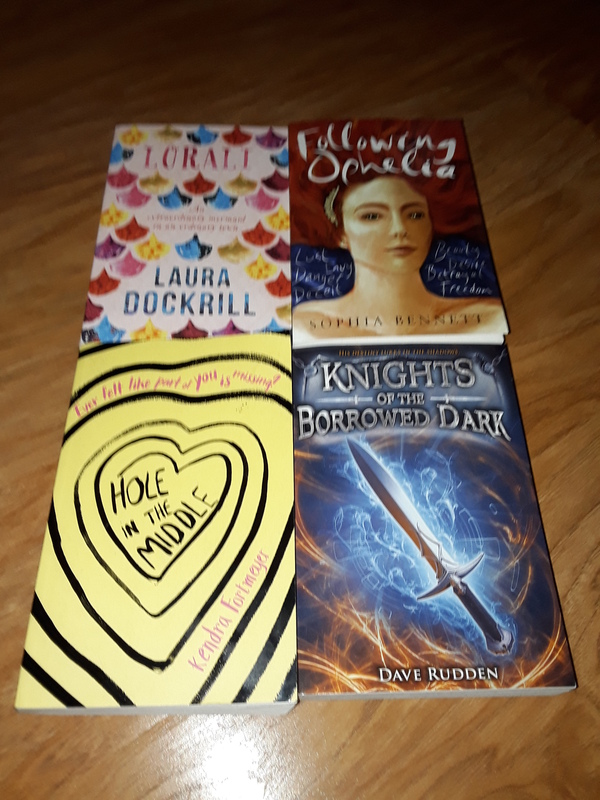 I recieved a couple of others for my exam results (Lorali, which I wanted to read because I LOVE mermaids and Following Ophelia, which sounds fascinating and also becuase Sophia Bennett’s last book Love Song was an absolute favourite last year). I also bought a few for myself; Knights of the Borrowed Dark by Dave Rudden (just after reading Defender of the Realm, as I’m sure I’ve seen this compared to that), Hole in the Middle by Kendra Fortmeyer (the 1st chapter of this is utterly hilarious, and as soon as I read the extract I HAD to have it), Stunt Double by Tamsin Cooke (I’ve been meaning to get this for ages, I absolutely loved the blog tour for this and the book sounds right up my alley. Isn’t in the photo as one it’s in won’t upload 😔) and The Boy With One Name by JR Wallis, which I treated myself to on a trip to Tesco as it just soumds the sort of thing I’ll really enjoy. I’ve only taken one book out of the library this month so far 😮😮😮, but it looks superb. 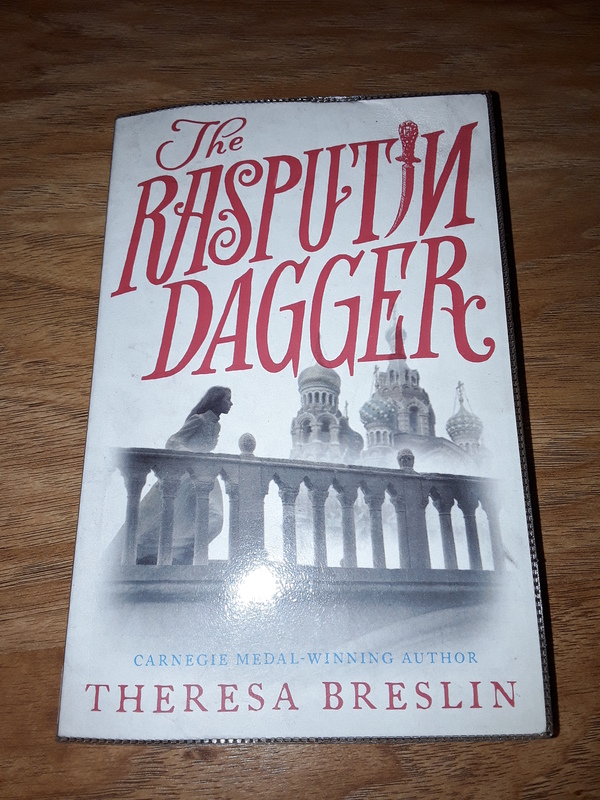 I loved Divided City and Ghost Soldier, so I’m hoping I’ll feel the same way about the Rasputin Dagger, especially as I find the take of Rasputin REALLY interesting. Finally, the books I’ve been lucky enough to recieve, whether from giveaways or from publishers to review. 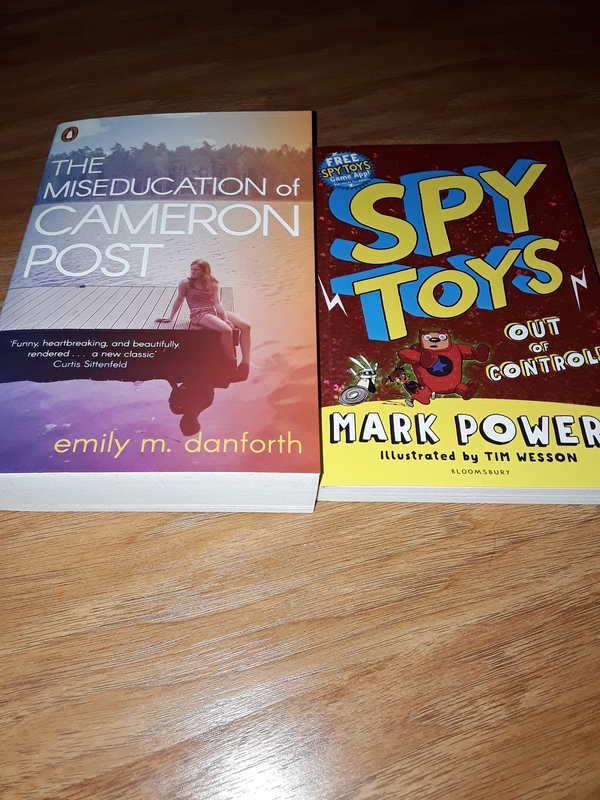 I was sent The Miseducation of Cameron Post, Spy Toys: Out of Control, The Mystery of Me, and last but not least, Worry Angels (which I’ve already sped through, and it was super lovely) from their respective publishers. I’m looking forward to reading the others too, as they all sound phenomenal in really different ways! 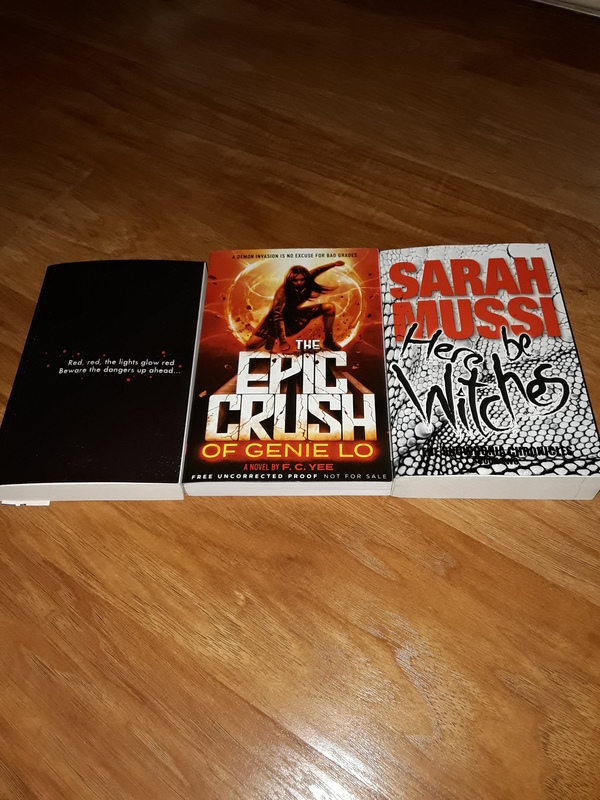 The wonderful Georgina from Toppsta sent me a couple of extras with Going Viral (The Epic Crush of Genie Lo, and Here be Witches, which both sound UTTERLY brilliant.) I also won a proof copy of A Shiver of Snow and Sky from Scholastic, and it sounds brilliant. What books have you amassed this month? Where do you think I should start with my pile? 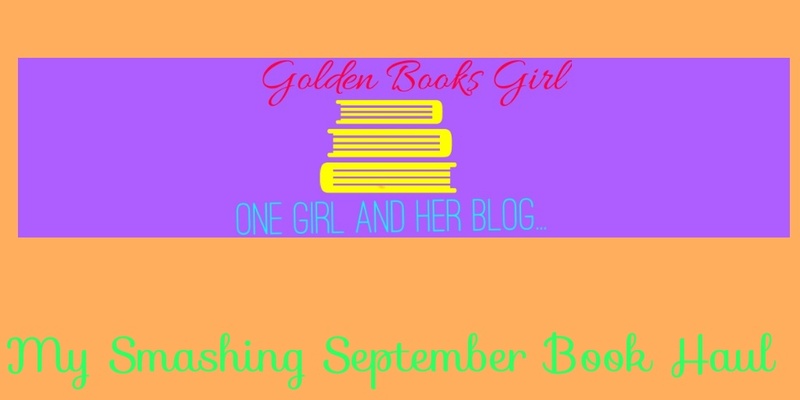 Please let me know in the comments below or on Twitter @GoldenBooksGirl! Author goldenbooksgirlPosted on Sep 19, 2017 Sep 12, 2017 Categories Book haulTags book blog, book chat, Book haul, Books, MG lit, TBR, YA lit10 Comments on My Smashing September Book Haul! Today I’m going to share my book haul for the month of June. 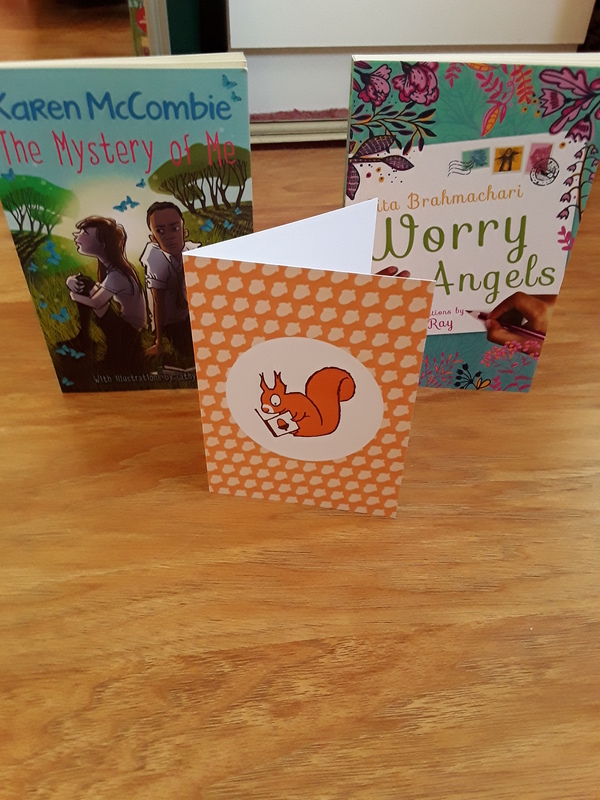 I had a lovely trip to Waterstones last week to stock up on new reads for the summer, and there are quite a lot to get through because I can’t say no to pretty books, as you’ll know if you read my last book haul post here. The first book I bought was Eden Summer by Liz Flanagan, which I’ve had my eye on since it first came out but didn’t want to buy in hardback, so when I saw this in paperback I snapped it up. 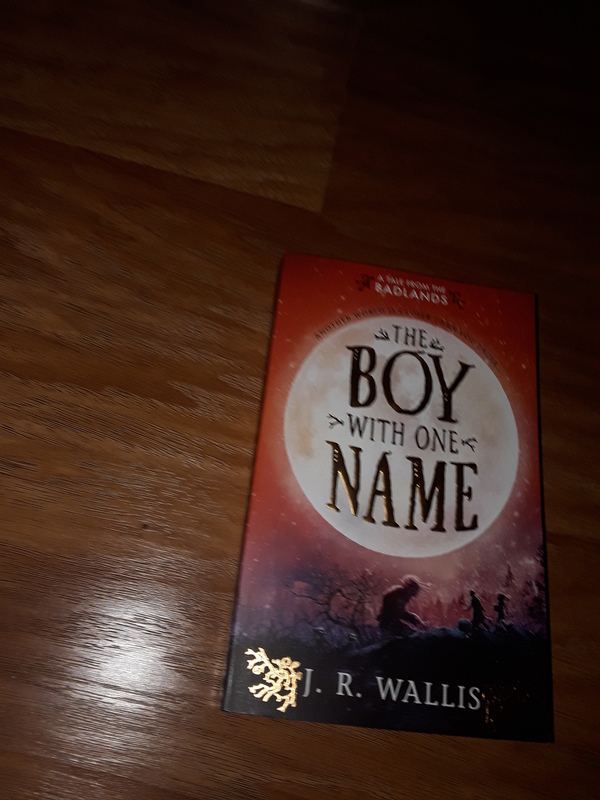 Another book I hadn’t wanted to buy in hardback was Paedar O’ Guilin, mainly because I’m a huge scaredy cat and I’m not sure whether it’ll be too dark for me, but the new paperback was on buy one, get one half price so I decided I had nothing to lose by giving it a go. My next choice was one I’ve had my eye on for ages, Love and Gelato by Jenna Evans Welch. The combination of romance, a foreign setting, a bit of mystery and of course ice cream sounds like EXACTLY my sort of read, particularly in summertime. Also: who could resist a cover this gorgeous?! My next pick was a middle grade book which I also think sounds perfect for summer: Bigfoot, Tobin and Me by Melissa Savage, which explores grief, friendship and hope as two children set up a detective agency to hunt for Bigfoot. I first heard about this book on its blog tour (I especially love this post, hosted by Michelle at Tales of Yesterday) and from then on I’ve been super excited to read it. Another book I loved the blog tour for was Simon James Green’s debut Noah Can’t Even, which I’m planning to make my first read for the #LGBTQIARead which starts tomorrow and one of my 2 books for the Reading Double readathon, which is starting today. I also picked out a few excellent middle grade debut novels : The Legend of Podkin One Ear (which is the Children’s Book of the Month for June, and sounds like a lot of fun. I mean, who doesn’t love rabbits?!) and the Amber Pendant by Imogen White, which sounds like a fantastic mystery (and as you’ll know if you’ve read pretty much any of my posts, there really isn’t much I love more than a good mystery). My final choice was the Smoking Hourglass by Jenifer Bell, which has been probably my most anticipated book of 2017. I fell in love with the Crooked Sixpence last year (and it was my favourite debut of 2016 I think), so I cannot wait to dive back into the magical world of Lundinor.